PJ Masks Top Trumps Junior will ensure hours of entertainment, featuring lots of fun activities including Spot the Difference, Take 5, Mini Top Trumps, Pairs and Observation Quiz! Featuring all The Last Jedi's First Order villains and Resistance heroes, alongside Jedi Master Luke Skywalker, you can find out who has the highest Honour, Greed, Attitude and Top Trumps Rating in the latest Star Wars Top Trumps pack. You’re’ gonna love this highly anticipated Top Trumps pack, full of the best Friends’ moments including the laugh out loud ‘Holiday Armadillo’, the hilarious giant poking device and Monica and Ross’ unforgettable dance routine! Think you know your football? Well, now's the time to test your knowledge with Top Trumps Quiz ‘with a Twist’! 500 questions and a unique form of gameplay that will test your mind on the world's greatest ever footballers! Step into a magical kingdom like no other! 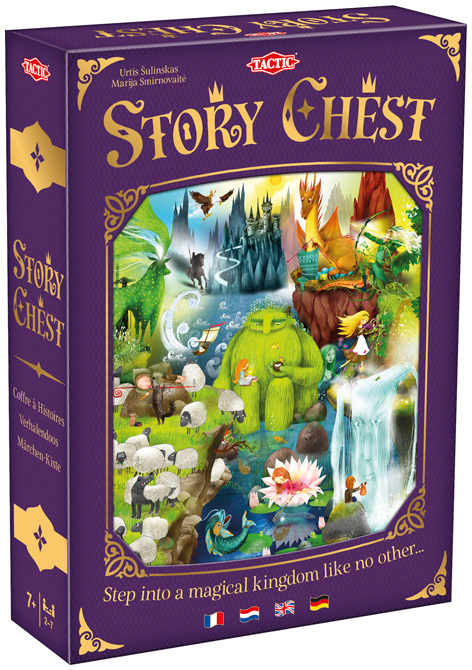 Draw two cards and start a new story, while the others guess which card you are going to choose by placing a key token in the Story Chest. Each cards can take the story into thousands of different directions, from a witch's cauldron to an enchanted forest and back, so let your imagination take flight. 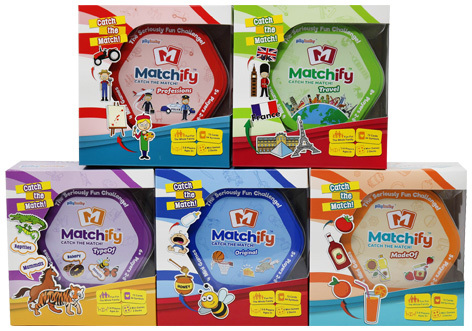 Matchify is a fast-paced, observation card game, perfect for family and friends. When you spot the links on the cards… SHOUT it out! Fastest player, wins! The game has 5 themes: Original, MadeOf, TypeOf, Professions and Travel. 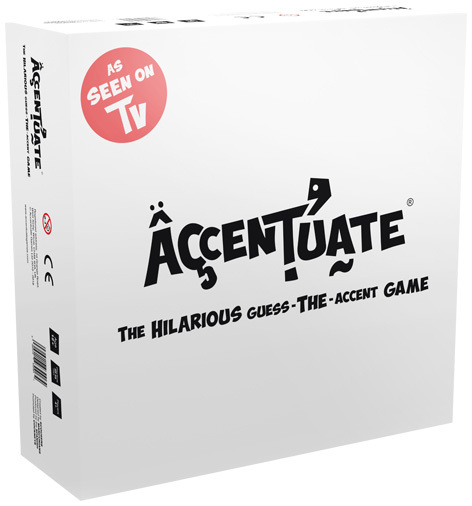 Accentuate is the hilarious guess the accent game. Repeat a film quote in a randomly selected accent and see if team-mates can guess what it is!